Young Sara uses the word LOVE often but doesn't understand its true meaning. 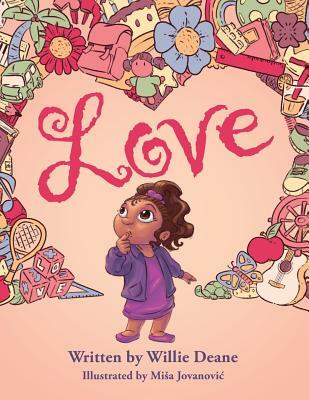 Throughout her school day, she musters the courage to ask her parents to explain love. Mom and Dad are happy to explain, give Sara examples from her own life, and show her different way to express and recognize love. Sara soon realizes how powerful love is and that she shows and receives all the time in its most pure form, unknowingly.